With tens of millions of people struggling with hay fever caused by cedar and cypress pollen across Japan, companies are perpetually coming up with new ways to survive the season of itchy eyes and runny noses. At least a quarter of Japan’s population of 123 million suffer from cold-like symptoms each spring because of the pollen dispersal, according to the Environment Ministry, which advises that people wear surgical masks, protective glasses and spend less time outdoors to defend themselves from the allergens. 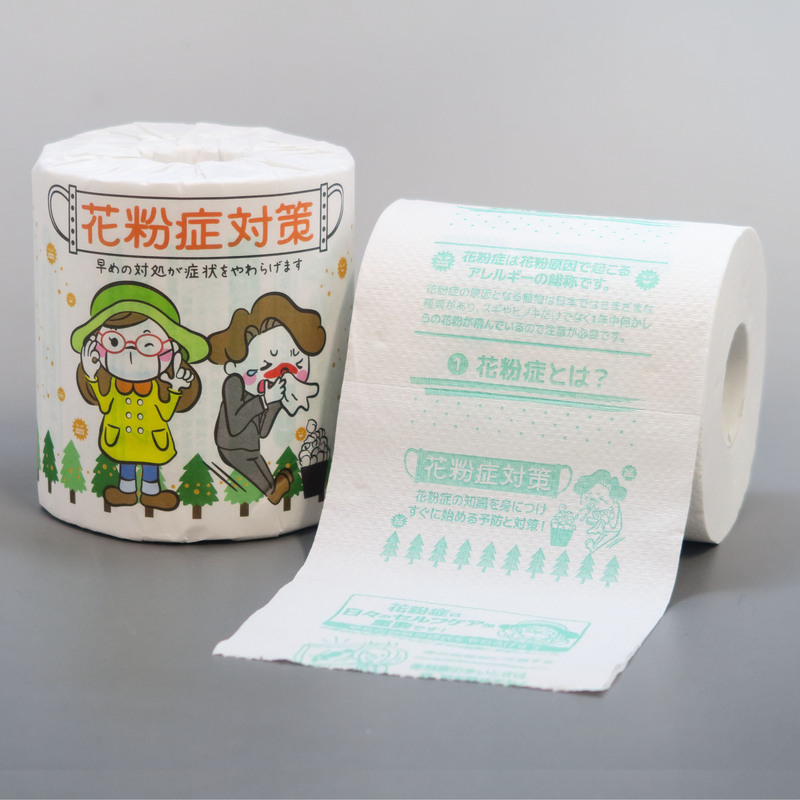 But a paper company in Shizuoka Prefecture has come up with an alternative way of teaching defense against hay fever through illustrated toilet paper. “Just this month, we’ve already sold more than 3,000 rolls,” Hayashi Paper representative Chihiro Kobayashi said. 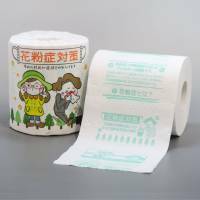 The firm has set a target of 100,000 rolls and is trying to sell them mainly to medical institutions and makers of air cleaners, Kobayashi said. But some companies believe there is nothing people can do to defeat the hay fever season apart from leaving Japan. Tokyo-based IT firm Isaac Co. allows employees to work from its satellite office in Hawaii to improve productivity during the dreaded season. “Given that hay fever affects performance, we thought it would be better to work in more comfortable conditions,” said Akimitsu Koshikawa, a software engineer at the seven-employee company. Around half of the employees are working from Honolulu, Koshikawa said, adding he plans to go there in April for about a month so he can concentrate on his work. “It’s hard because the pollen makes you feel miserable even when indoors,” he said, explaining that last year he and his co-workers escaped from Tokyo to Okinawa. DR.C Medical Medicine Co., meanwhile, has developed a new technology designed to suppress the absorption of cedar and cypress pollen by the human body. Spokeswoman Yumi Kawahara explained that the technology uses a combination of titanium oxide and hydroxyapatite, a calcium phosphate similar to hard human tissue, that is incorporated in fabrics along with silver ions. When the molecules come into contact with pollen, they dissolve the harmful protein allergens coating them and melt them into a liquid. The chemical mechanism also protects people from house dust, it claims. The technology is used in a variety of products from towels and handkerchiefs to socks and other clothing. The company is making the items in collaboration with firms like sportswear firm Mizuno Corp. In conjunction with business attire maker Haruyama Holdings Inc., the medical company said it has produced a lineup of suits that can help keep pollen from sticking to the human body.